Christmas Math is FUN! 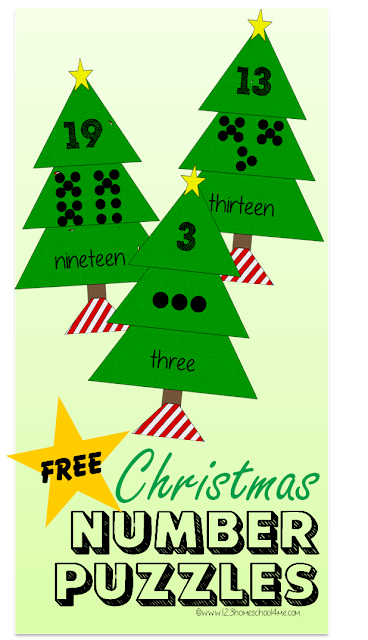 Kids will have fun practicing counting to twenty and number words with these fun, free printable, Christmas Tree Count to 20 Puzzles. 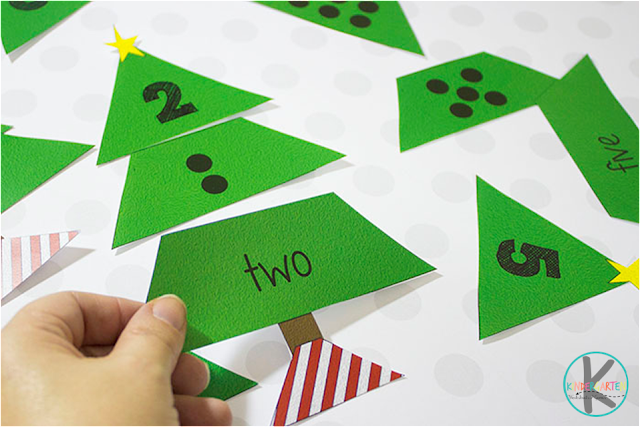 This fun, free printable Christmas Tree Count to 20 Puzzles will help preschool, kindergarten, and 1st grade kids practice counting to 20 while identifying number words. This activity is pretty low prep! First, print in color on cardstock (or use a laminator for durability) and cut straight across to cut each tree into the 3 sections. Now, place the pieces in front of your student and have them build the Christmas Trees. Start out by reading the base number word. Then find the middle section with the same number of “ornaments” as the base. Finally, add the top of the tree with the same number as ornaments on the tree. 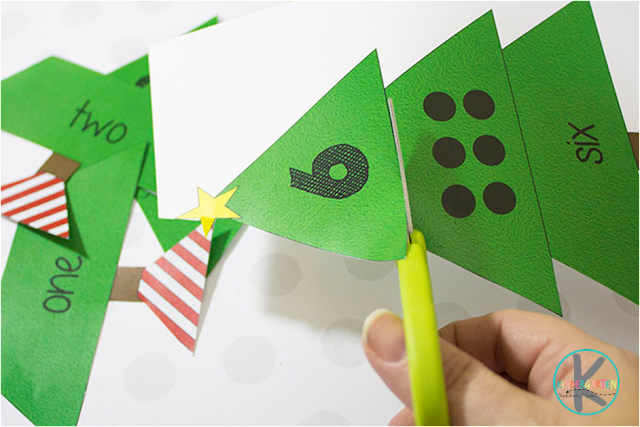 This is not only great number practice, but also a fun Christmas math activity.